On December 16th, 2015, Laney Moss and Hana Malkah, our Directors of Grants, attended CFO Roundtable’s ‘Day for Change’ Holiday Open House to represent MGC and participate in the grant award ceremony. Thank you, Day for Change, for your generosity and constant support of our organization. We couldn’t do it without you! 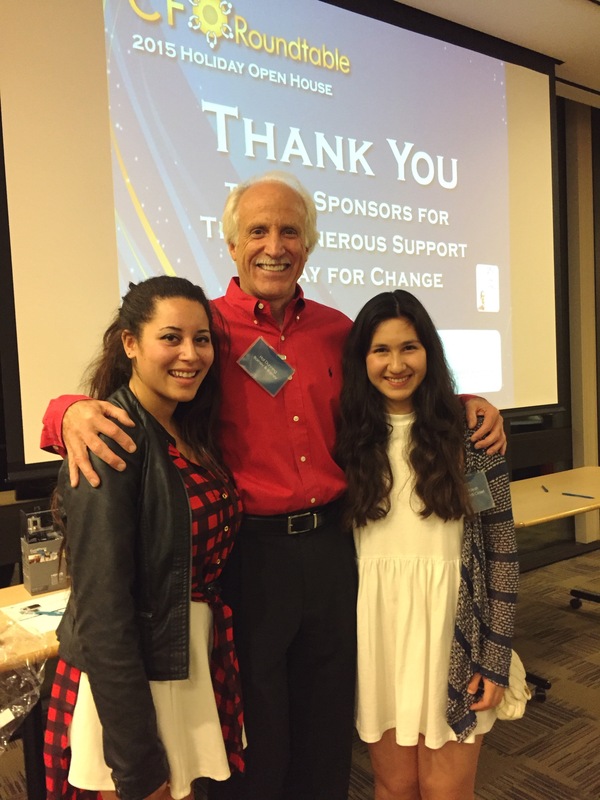 See Laney Moss and Hana Malkah speak at CFO Rountable’s ‘Day for Change’ Holiday Open House. Congratulations, girls! What an inspiring night. ‘Day for Change’ was started by a group of CFOs in San Diego that decided to give back to the community by raising money for local nonprofits that serve disadvantaged youth. Every year, they hold a Holiday party where they award these organizations with generous grants. This year, Day for Change awarded over $85,000 to organizations like My Girlfriend’s Closet. We are so appreciative of what Day for Change does for the San Diego community!